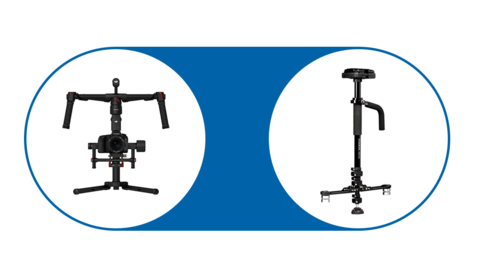 Gimbals can elevate even the most basic videos to a cinematic level. But, while using them is easy, setting them up can be another story altogether. OK, so I’ll admit, I have a love-hate relationship with my Ronin M. When the camera is fully mounted and properly balanced, it affords me the opportunity to move freely and create moving images exactly the way I envisioned them in my head. I can react quicker without worrying so much about jagged camera movement. I can even improvise a bit and the odds are my video is still going to be as buttery smooth as if I was working on a six figure production. On the flip side, my Ronin M can also be the bane of my existence. No matter how many times I Google “balancing a gimbal” and no matter how many hours I spend on YouTube watching other people accomplish the task in under five minutes, when it comes time for me to actually try and mount my own camera, it can be a different story. Five minutes quickly becomes ten, which turns into twenty, and eventually eases past forty-five. And it’s highly likely that at no point during that time period have I even come remotely close to something that could be considered a properly balanced camera. Of course, my own balancing deficiencies are only exacerbated as the size of my camera grows. I have a shot at getting my Nikon D850 to balance after multiple attempts and pushing the limits of known profanity. But when I move on to something bigger like the Canon EOS C200, it can become an exercise in futility. I should point out that this is my own personal failing, not a problem with the Ronin M itself. Many of you out there are likely reading this and thinking, “What’s wrong with this guy? You just flip the thingy and swing the other thingy and boom, it’s done.” To you I can only look at with envy. But I imagine I may not be the only balance challenged cinematographer in the world. So, if you are like me, you will more than likely appreciate this new video from Potato Jet. 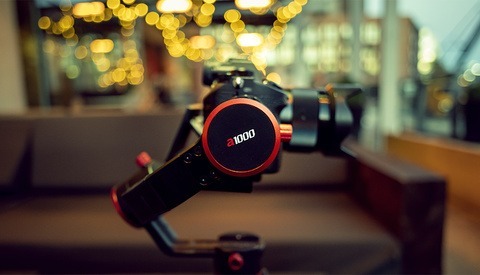 In this YouTube tutorial, he takes you through balancing everything from an iPhone to a Red Weapon using the smallest gimbals to the largest. He goes over how to work with each axis to maintain balance and provides useful tips on setting everything up. It’s a good watch for those new to the process, or those, like me, who could still use a little help.